When selecting fonts, it’s helpful to have sample sheets handy that show the font at various sizes and displaying sample text. I’ve created sample sheets for the 25 fonts installed with Windows 7. 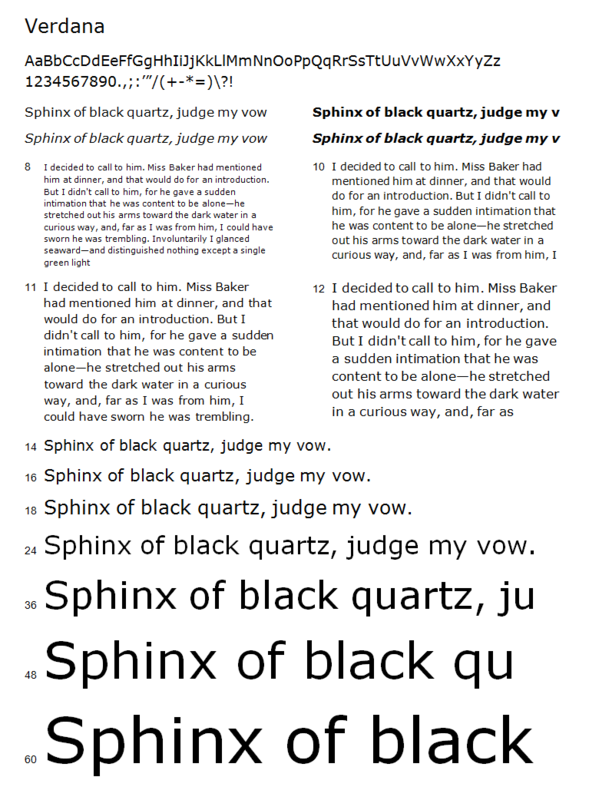 There is a single page for each font, showing samples of text rendered with that font. (NOTE: If you open the document on a system that does not have all of the fonts installed, they will not be displayed properly).